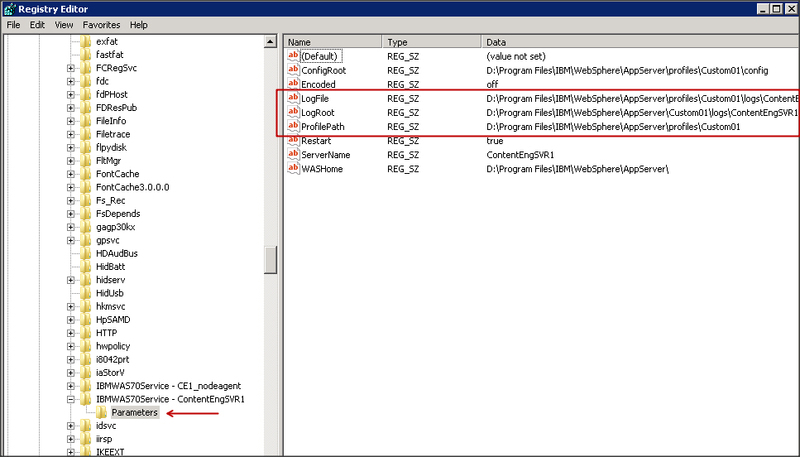 Cause: The log file parameter (log file path) is wrong in the registry. 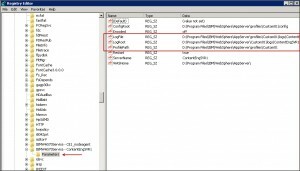 Resolution: Open Windows registry (REGEDIT) and search for Windows Service Name. In our case, the “service name” was IBMWAS70Service – ContentEngSVR1 , so this is what we searched for in the registry. When searching, it was the second entry in the registry. The problem for us was the LogRoot value was not correct. To fix the problem we ended up removing the “Windows Service” and re-adding it with WASServiceCmd. Running the WASServiceCmd, you can remove and/or add a Windows Service for WebSphere.